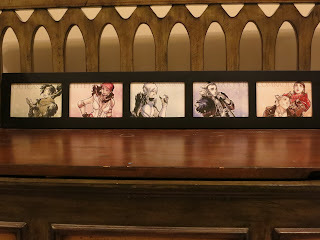 Okay – sorry about the lousy photos – I just have no skillz and there was a crazy reflection coming off the glass, but what I really wanted to do here was plug the place I bought the frames from. 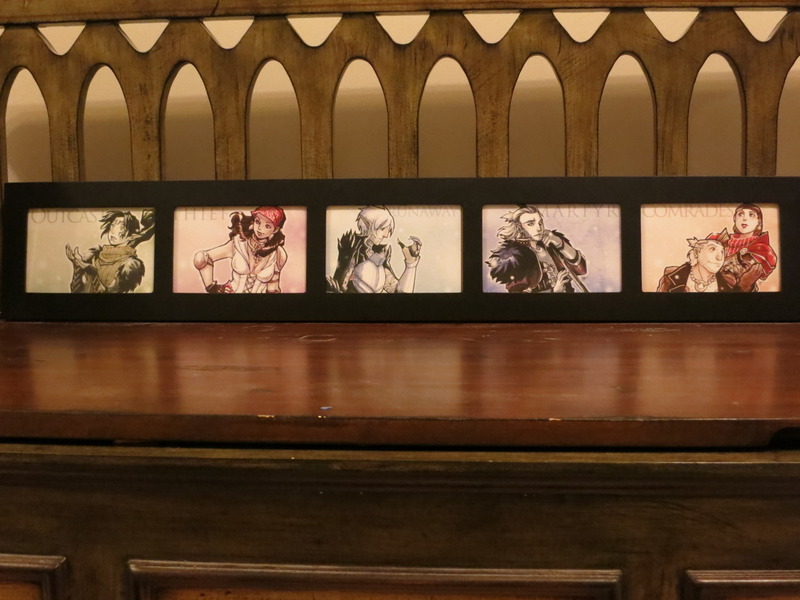 The cards themselves are actually commissioned sketches by Aimo of my BoD characters, plus one Hawke/Fenris shot. Just because. And actually, since I was on a framing kick I went ahead and framed some other stuff by Aimo – she’s released a series of seasonal Dragon Age postcards (of which I’ve bought a few sets) and she was nice enough to send me an original Sad Sausage Dogs piece as well. 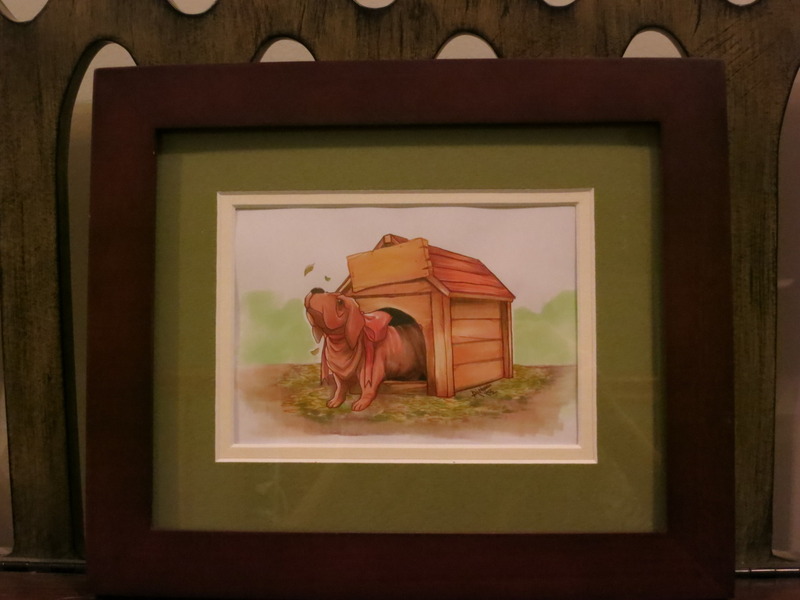 (It’s been on of my biggest complaints about the decorating of my house, honestly. We have so much stuff that people have given us over the years and I’m massively appreciative of it…but a lot of it isn’t me. Probably part of the reason the place doesn’t always feel like my home. Guess I’m just trying to reclaim that a bit with stuff that IS me. 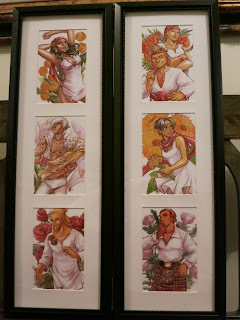 This entry was posted in blog and tagged aimo, sad sausage dogs, sketchcards. Bookmark the permalink.